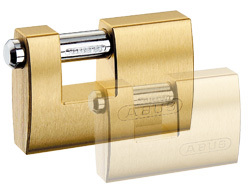 The straight shackle design makes the lock slightly less versatile but invariably more secure against force attacks. Ideal for protecting valuable stock and business items. A corrosion resistant internal mechanism makes it suitable for outdoor use on shutters, bollards and gates. 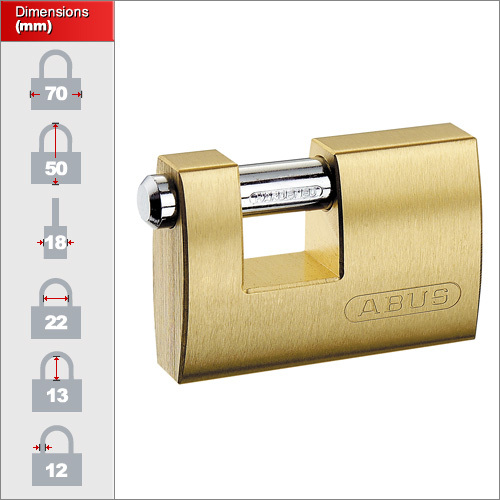 On our website we have two sizes of popular straight shackle padlock. Please use the drop down list above to select your size. The shackle is made from chrome-plated hardened steel with the lock mechanism constructed from anti-corrosive materials. This makes it ideal for outdoor use.